This is a practical volume which reflects how treatment programmes can be compatible with the reality of service delivery and mental health provision in an organisational context. 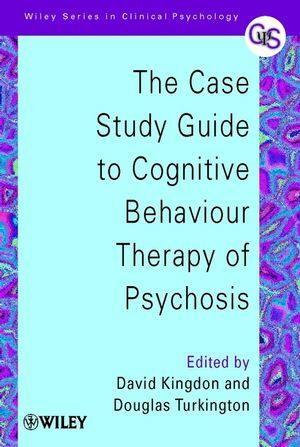 It also supports both training and clinical practice by presenting examples of clinical cases to illustrate the assessment, treatment planning and implementation processes of CBT for psychosis. David Kingdon is Professor of Mental Health Care Delivery at the University of Southampton, UK, and Honorary Consultant Adult Psychiatrist for Southern Health NHS Foundation Trust. He has previously worked as Medical Director for Nottingham Health Care Trust and Senior Medical Officer in the UK Department of Health, UK. He now does policy and implementation work for NHS England and is editor of their mental health web sites. Douglas Turkington is Professor of Psychosocial Psychiatry at Newcastle University, UK. Professor Turkington is an expert on the efficacy and effectiveness of CBT in the treatment of schizophrenia. A fellow of the Royal College of Psychiatrists and founding fellow of the Faculty of Cognitive Therapy in Philadelphia, he has written more than 100 articles on the subject of CBT in schizophrenia. "The Admiral of the Fleet" Case 1 (John): Douglas Turkington. From a Position of Knowing: The Journey into Uncertainty Case 2 (Janet): Laura McGraw & Alison Brabban. Managing Voices Case 3 (Pat): Lars Hansen. Case Experience from a Rehabilitation Service Case 4 (Helena): Isabel Clarke. Identifying the "Agent Mice" Case 5 (Kathy): Paul Murray. Developing a Dialogue with Voices Case 6 (Nicky): David Kingdon. Tackling Drug-Related Psychosis and Isolation Case 7 (Damien): David Kingdon. "Traumatic Psychosis": A Formulation Based Approach Case 8 (Sarah): Pauline Callcott & Douglas Turkington. Communications from my Parents Case 9 (Carole): Ronald Siddle. Two Examples of Paranoia Cases 10 (Mary ) and 11 (Karen): Nick MacGuire. Managing Expectations Case Study (Jane): Jeremy Pelton. Cognitive Behavioural Therapy for Psychosis in Conditions of High Security Cases 13 (Malcolm) and 14 (Colin): Andy Benn. PART II: TRAINING, SUPERVISION AND IMPLEMENTATION. Training in CBT for Psychosis (David Kingdon and Jeremy Pelton). Modelling the Model: Training People to use Psychosocial Interventions (Madeline O'Carroll). Clinical Supervision (David Kingdon and Jeremy Pelton). How Does Implementation Happen? (David Kingdon).